The next morning I went the museum, which is well done. It was overrun with vast hordes of badly-behaved English school children, which saddened me. 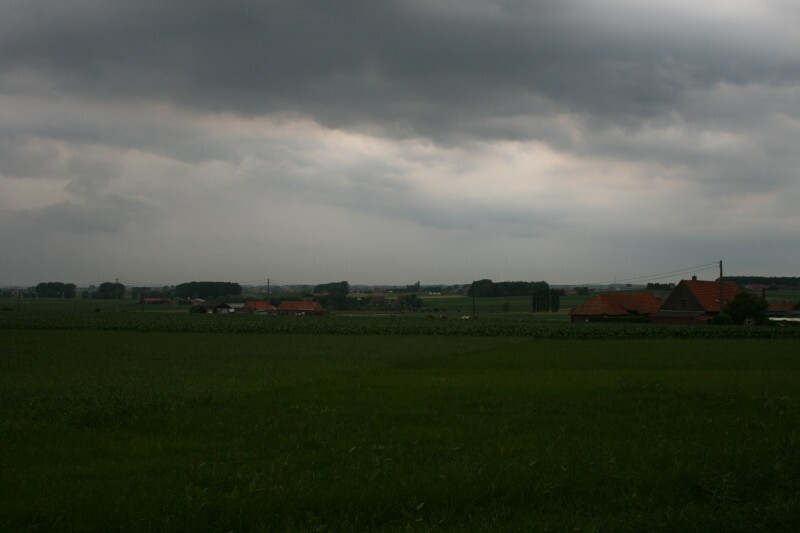 In the afternoon, the sky blackened over and it begain to rain quite hard. But I was determined to see Passchendaele, so I biked the 15km to Tyne Cot, which is the big cemetery. I guess summer is the wrong time to visit, to get a full appreciation of the cold and the boggyness. 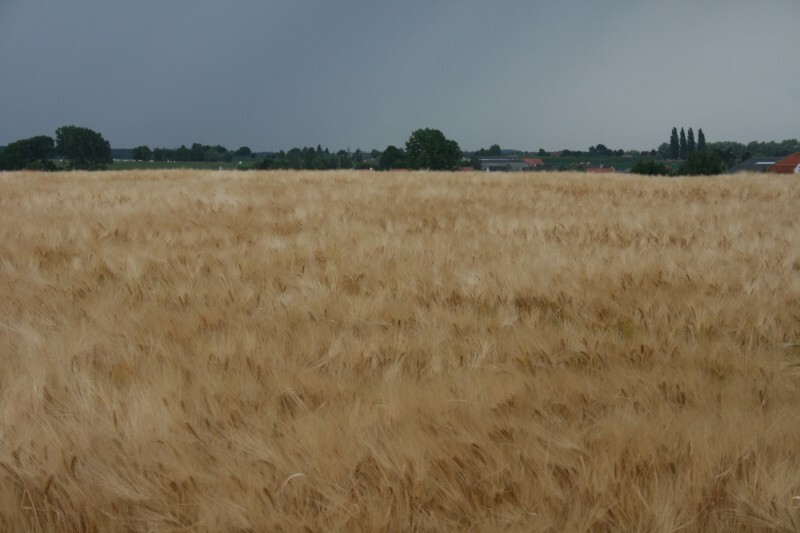 It all seems quite dry and lush in June. The local farmers still dig tons of munitions out of these fields each year. One farm in Messine has an unexploded mine under their barn that weighs 22 tons and there's a poison gas stockpile that no-one knows how to deal with. This is a recently discovered German outpost. One of the other buildings is currently used as a cow shed. 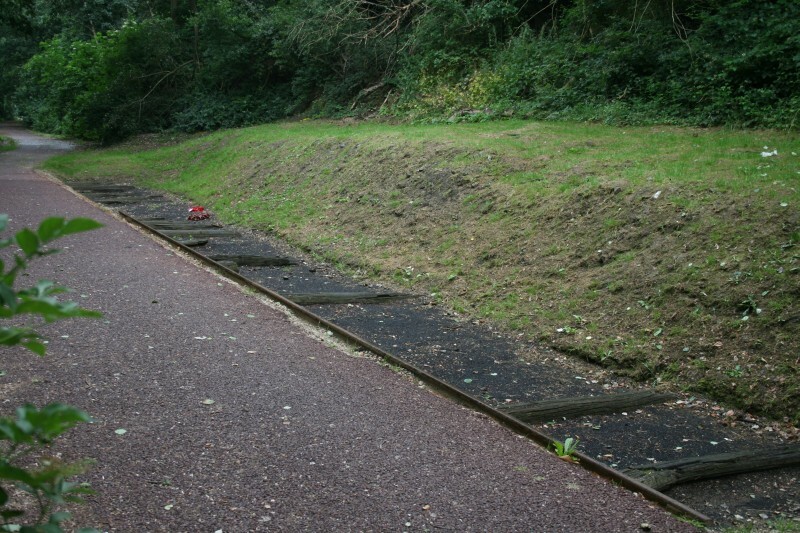 This is a section of the railway line that was also recently uncovered. They found the body of a Welsh soldier with a Bible over his face here. There are various differences in the graves. Some are marked by name, while other are for unknown people. Nearly all have crosses, except a few small cases where the family requested that an atheist not have one. 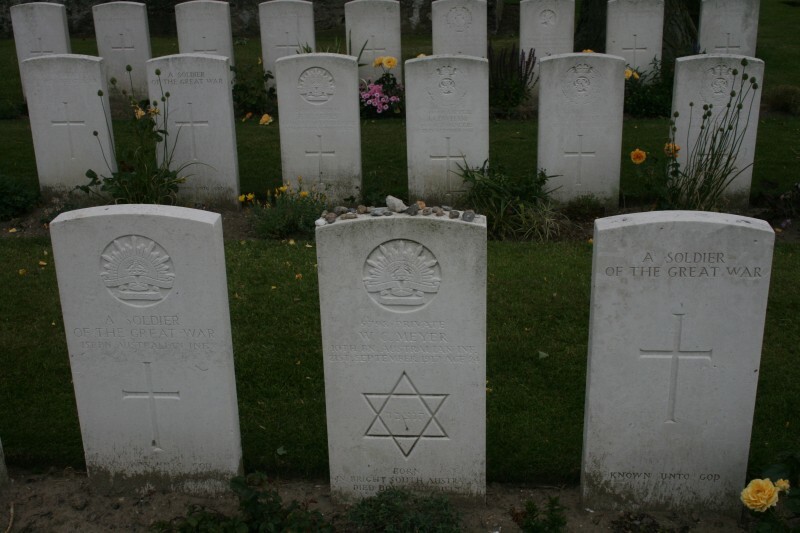 There are 6 Jewish graves, which have a Star of David. There are 4 German soldiers. Australian families could request that a quotation be added, but New Zealanders could not. The lack of a name means this soldier was never fully identified. I tried to find the grave of the former All Black captain who was killed in the battle: Dave Gallagher. 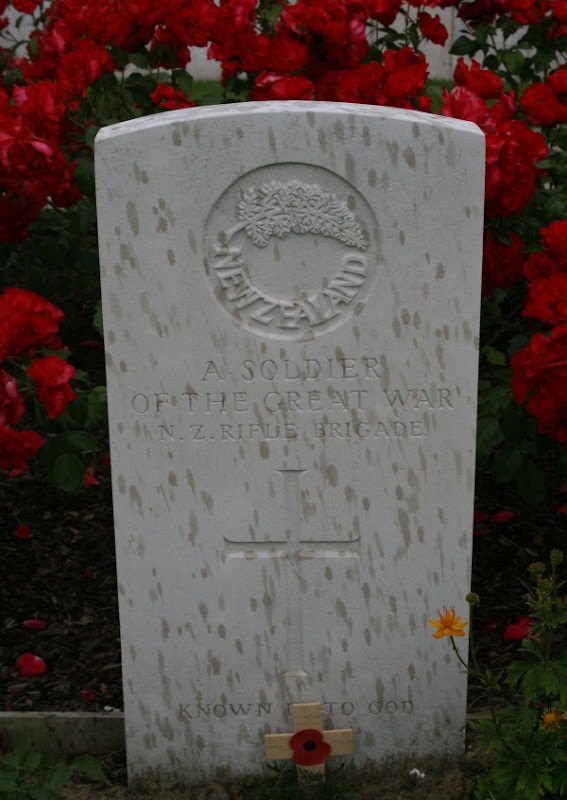 I asked some Kiwis at the NZ memorial, and they turned out to be his family, looking for the same thing. Small world. 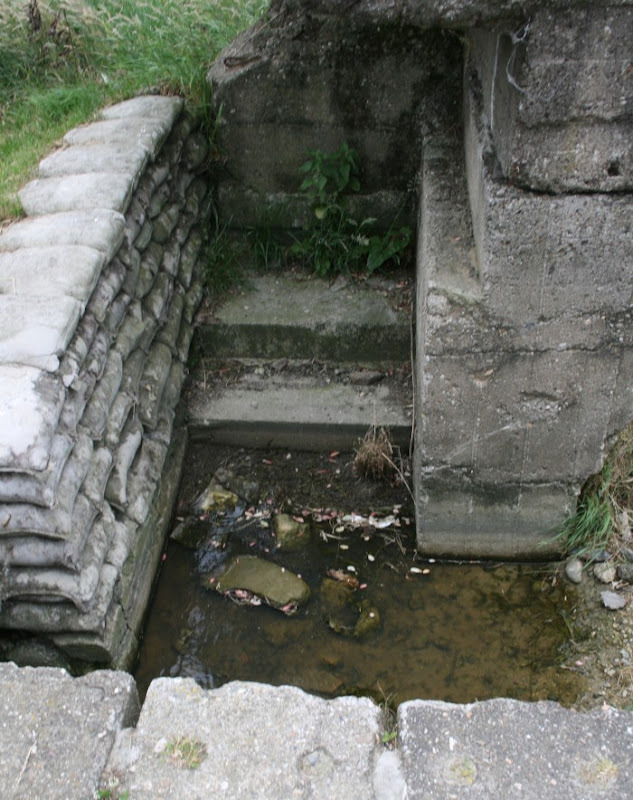 There are so many sad aspects of Ypres. The priest in Dikkebus, Achiel Van Wallegham kept a diary through the War. He eventually moved away when he realised he didn't have any parrishioners left. Perhaps the thing that resonates most strongly with me is that the English soldiers mispronounced Ypres as Wiper, so they named their newspaper the Wiper's Times. I'm assuming that was intended as a joke. That humanises it a bit for me. 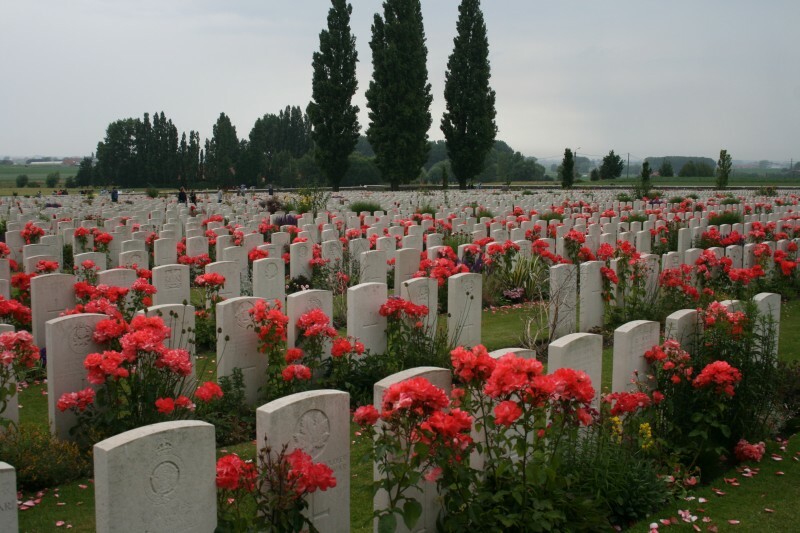 Each of those half million men had their own personality and sense of humour. The ages on the gravestones are so very young. 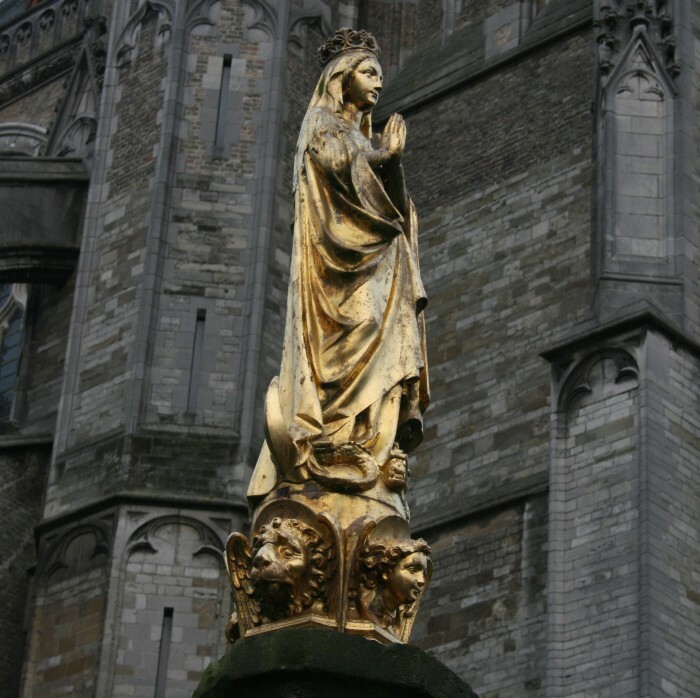 The Belgians were recently building a new road in the area, and they dug up several bodies. They considered moving the road out of respect, but didn't because there's nowhere they can dig in the area without uncovering bodies. Just before I read this, I had looked into John Keegan's analysis of the WWI trench warfare. He asked the question most of us ask, "how could men walk (they had 60lb packs) steadily into curtains of machine gun fire?" He argues there was something that they feared more than death, and that was the fear of "letting the side down." And I also read that some undoubtedly brave commanders refused to take their men out of the trenches. It was a very strange time.